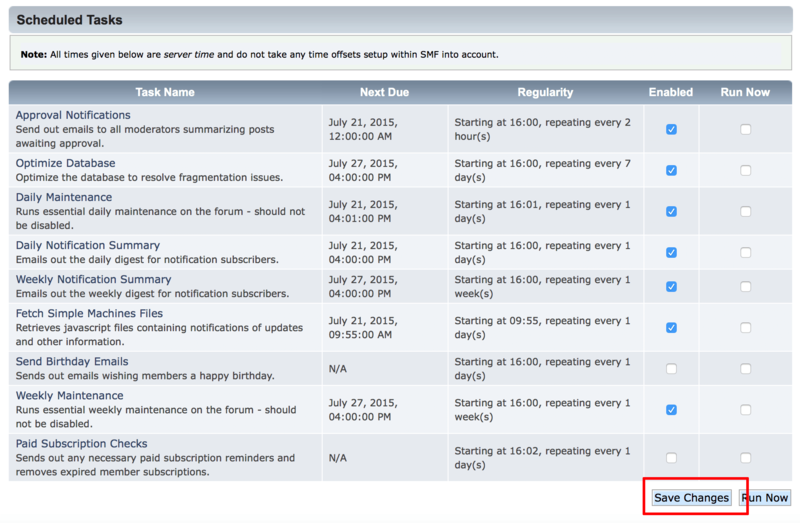 On the resulting page, select the “Maintenance -> Scheduled Tasks” menu item. Review the list of available tasks and enable/disable them by checking/unchecking the “Enabled” field next to each. Click “Save Changes” to save your changes.